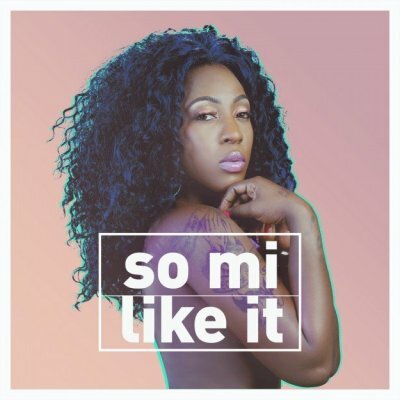 Known for her daring lyrics, vivacious stage performances and fiery bravado, Jamaican dancehall sensation Spice is happy to announce the release of her eagerly awaited debut EP So Mi Like It, available December 2, 2014 on VP Records. The digital-only EP will showcase her skills with a new selection of her most buzz-worthy anthems as well as exclusive material. On the 5 song set, Spice knows what she wants and has no qualms expressing exactly how she feels. Whether she is taking the reigns in and outside the bedroom on songs like “So Mi Like It,” “Go Go,” “Conjugal Visit” featuring Vybz Kartel and the never-before-heard track “Whine Inna Di Dance” or flipping the script on “Like A Man” – the tell all about being a female in the male-dominated industry – there is no holding back with Spice. Spice is reaching numbers that are unprecedented in the genre. She received almost 10 million views alone on her VEVO channel for “So Mi Like It.” The song and video for ” Conjugal Visit” featuring Vybz Kartel debuted simultaneously this month on World Star Hip Hop. The video has already hit nearly 3 million combined views, proving that Spice’s presence and demand is undeniable. Spice plans to tour in support of the new EP So Mi Like It. Tour dates will be announced at a later date. Born Grace Hamilton, Spice grew up in Jamaica’s poverty-stricken community of the Old Braeton community in Portmore, St. Catherine. She began to hone her deejaying (rapping) skills at local stage shows. In 2000, Spice earned four encores after her first major performance at Sting in Jamaica and a star was born. In the early 2000s, Spice has released a string of hits – including her breakthrough single “Mi Gone” and dancehall chart-topper “Fight Ova Man.” In 2008, her notoriety skyrocketed after her infamous collab with Vybz Kartel on “Rompin Shop,” which became a fixture on the Billboard R&B charts, received heavy rotation on mainstream urban stations including NYC’s HOT 97 and POWER105.1 and earned her the EME award for “Female Deejay of the Year” and three Youth View Awards for “Best Female Performer,” “Female Deejay of the Year” and “Young Hot and Hype Female Deejay.” The song’s international popularity only further fueled demand for Spice. In addition to Vybz, she has collaborated with rapper/producer/singer Missy Elliot and R&B singer Mya. She is constantly touring worldwide and when back home she runs Spicey Couture, her high-end clothing store at Mall Plaza in St. Andrew. Focused, passionate and fearlessly creative, Spice has her eyes set on being the next dancehall sensation who will dominate the international scene – and from all indications her dream is about to become an admirable reality.